They look "phat". Do you find the RCZ "crashes" at all now? Suits the car very well! Mine are 255/30 at the front and 255/35 at the back with 15mm spacers Theey sit flush with the wheel arches. Last edited by Abzynthe on Sun Nov 03, 2013 12:36 am, edited 1 time in total. Abz who wide are your wheels and what is the off set with out the spacers ? Which alloys did you have before Dan? You have the xenons so quite a high spec? Did you not fancy speccing the solstice alloys (if this was bought 2nd hand I rescind my comment about speccing the solstice!!)? 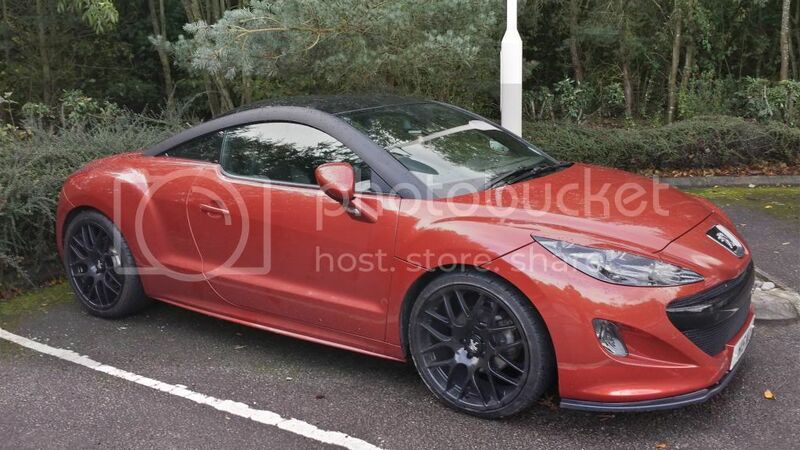 The RCZ is a Front Wheel Drive car. Having extra wide rear tires do you no good whatsoever other than it looks nice. All the weight is over the front axle of the car so if anything you should have wider front tires if you want more grip. 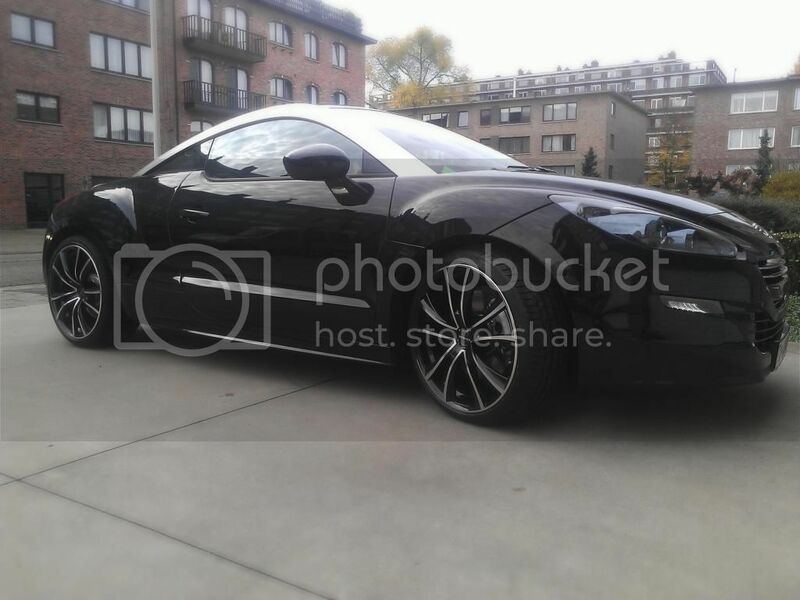 The RCZ R comes standard with 255's all around. Have u got air Jordan's had to look that up myself. As for the 20 inch wheels aesthetically very nice but that's about it. So by using a 9" in the front and a 9,5" in the back the wheels align perfectly with the outside of de body with out changing the off set. And yes the 265 tyres in the back have no advantage, but it's something you don't see everday an on a RCZ and it looks real mean. I bought the car new and it was with 19" Technical Grey wheels. I agree there are alot of wheels around with this style, but it suits the car IMO Especially now I have black roof arches. And hoy many do you see on RCZs? The main reason is 255/35 doesnt fit on the front without rubbing the arch liners, so I swapped them with 255/30. 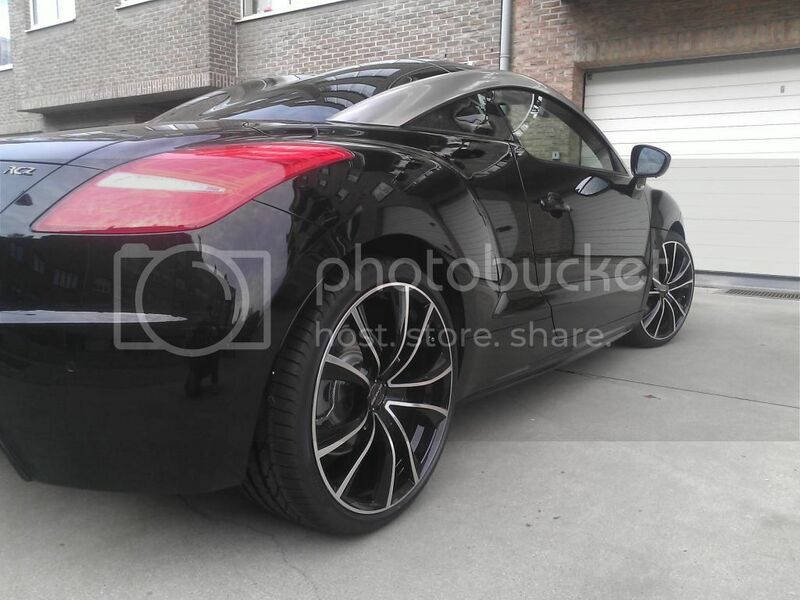 Since them, I think it looks quite good as the wheel and tyre fill the rear wheel arches quite nicely. My wheels are 9.5 all round, and I got it like that as I was told 10s would stick out the back too far and 9.5 on the front for the reason stated, more grip. Last edited by Abzynthe on Sun Nov 03, 2013 12:43 pm, edited 2 times in total. Abz; I like the way your car looks. Have you changed other things ? Ive got an Ulter sport quad exhaust. I havent done anything else to it performance wise yet. Ahh good old 20" tyres !!! How do you get the speedo recalibrated for the larger wheel. To comply with the MOT laws ?? ?